Social change only occurs when fought for and pushed forward by those individuals that are affected by the need for reform. There is an undeniable need for reform regarding the injustice that is parental alienation. The government bodies and services that allow parental alienation to go unchallenged need to be held accountable for their lack of safeguarding of alienated children. There is absolutely no justice in the current flawed systems in numerous countries that allow this form of abuse to be inflicted on alienated children and targeted family members. We were originally known as Peace Not Pas. We feel we have come a long way under that name. We are proud of our approach. We are passionate about raising awareness of parental alienation. We are incredibly thankful for all the support and input we have received from numerous alienated individuals that have helped us in doing this. We care about providing support for all those that are adversely affected by genuine cases of parental alienation. We believe change will come. We believe the awareness of parental alienation within the public domain is increasing. We believe we need to be relentless and continue to raise awareness while supporting. As a movement we have decided a slight, but important and positive change in our direction is needed in the name of raising awareness, providing support and lobbying for change. As Peace Not Pas we have decided to join the Cornerstone Community Alliance. The following is our rationale and how it will look, and work in fighting for total reform. As Peace Not Pas, our strength has always been in providing support and the raising of awareness of parental alienation. We have plans to expand our supportive role; we intend to increase the amount of information on our website regarding self representation and/or McKenzie support. We plan to roll out a free telephone support service for those struggling with the mental health side of coping with parental alienation. We also intend to increase our output of content with the intention of raising further awareness of parental alienation. These are just three of several plans we have in the pipeline. These plans are very much in the realm of support, which is our bread and butter and these elements are our strengths and what we do well. The Cornerstone Community Alliance (CCA) is a newly formed Alliance. This Alliance is the brainchild of Mark Sheppard, a London based alienated father himself. Mark has managed to bring together numerous individuals all with a common goal; total reform for the flawed system that fails to recognise, acknowledge and effectively stop parental alienation. CCA are going all out for total reform. CCA’s aim is to raise a class action against numerous government bodies such as Cafcass, MOJ, DWP, etc. We accept that to those that may not have come across CCA before, such statements may seem somewhat grandiose. However having seen how far CCA have come so far in such a short period of time we feel CCA have what it takes to actually pull this off. CA is the first and only group we have come across that we truly believe have what it takes to reform these corrupt systems. CCA is already working with individuals/stakeholders in the US and Canada to potentially make this an international fight for total reform. Everyone we have come across within CCA that regularly contributes and works hard day in and day out, is in this for total reform. We strongly believe that as a collective, CCA are in this for total reform and nothing less. The ethos, gender neutral stance and support we provide for ANYONE adversely affected by the injustice of the Family Justice System will remain unchanged. We share the same ethos, approach and ultimate aims as CCA. The only change regarding us is that our numerous social media profiles will be renamed and rebranded. Our main website in due course will undergo a makeover to reflect the fact we are now joining and becoming a part of CCA. CCA will continue to work behind the scenes moving forward to total reform. In essence we will become the support-side of CCA whilst still raising awareness of parental alienation across our numerous social media platforms. We, as the Peace Not Pas Team strongly believe this is in the best interest of fighting for total reform. We will gladly signpost individuals to true professionals within our wider network who add value, deliver results and operate in line with our core principles; contact us for more details. The Peace Not Pas Team, soon to be CCA Support. 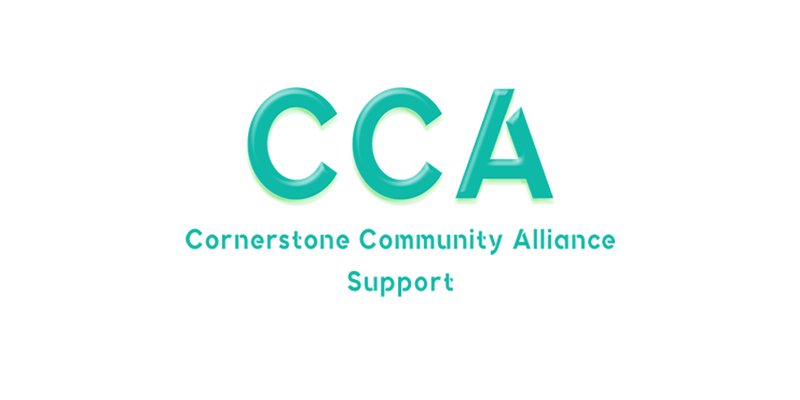 The ‘CCA Support Team’ are the support wing of ‘The Cornerstone Community Alliance.’ Our aim is to provide support & advice to all those that have been adversely affected by the numerous injustices of the Family Justice System.